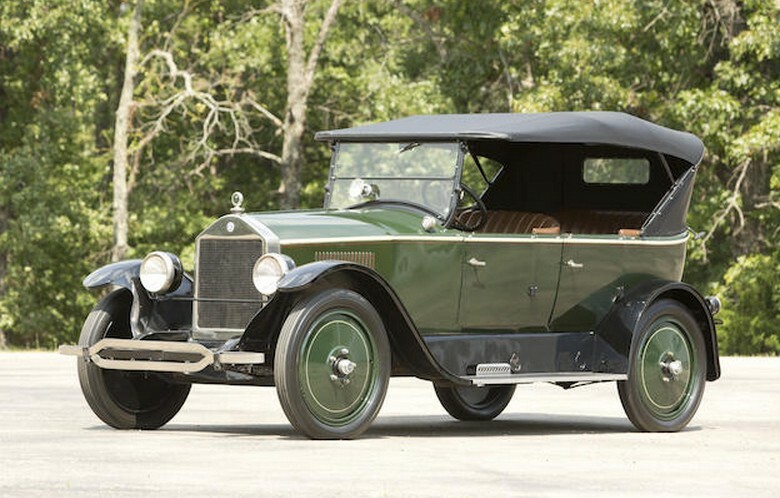 1911 was the first year that Chalmers built cars under the “Chalmers” marque. 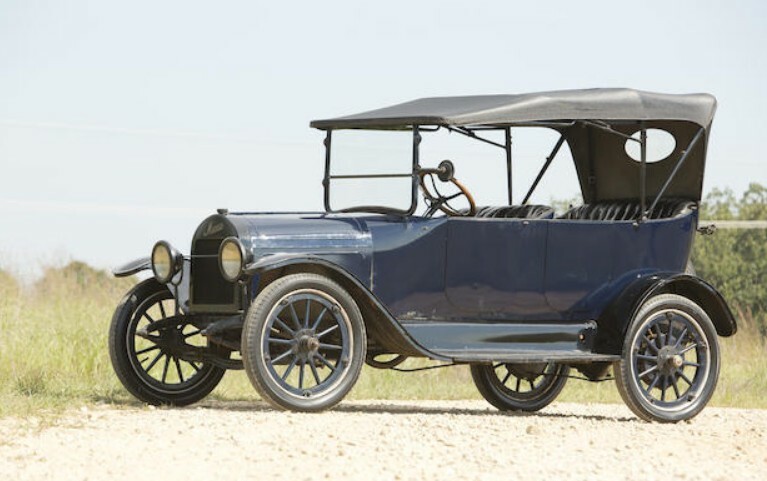 Prior to that, all of the cars were badged as Chalmers-Detroit, referencing the Thomas-Detroit automobile company that Hugh Chalmers purchased in 1908. 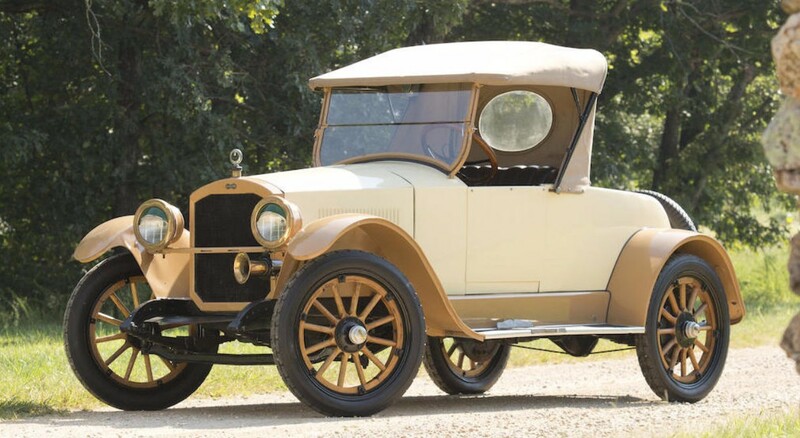 But that doesn’t mean the model was new – the Thirty was introduced in 1909 (and lasted through 1913). 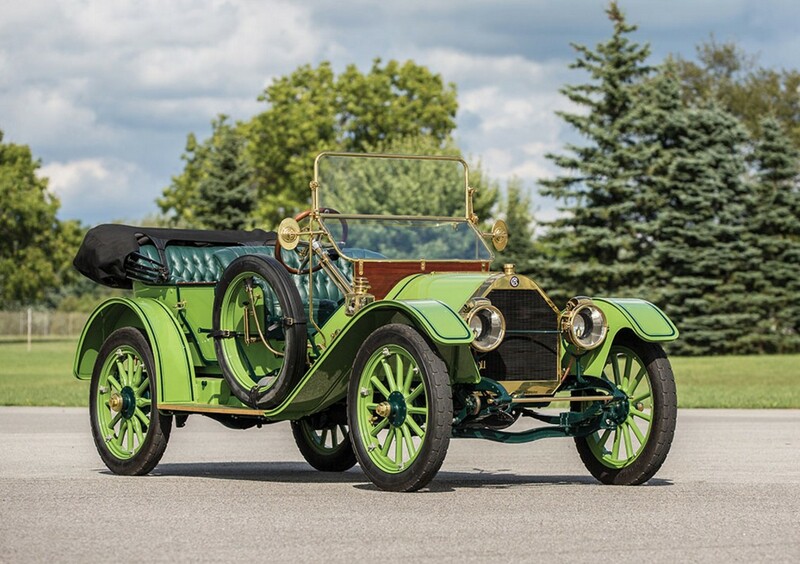 A 30 horsepower, 3.7-liter straight-four powers this car and when carrying this attractive and borderline-sporty Pony Tonneau body, the new owner would’ve been set back $1,600 in 1911. It was a mid-range price for the Thirty. 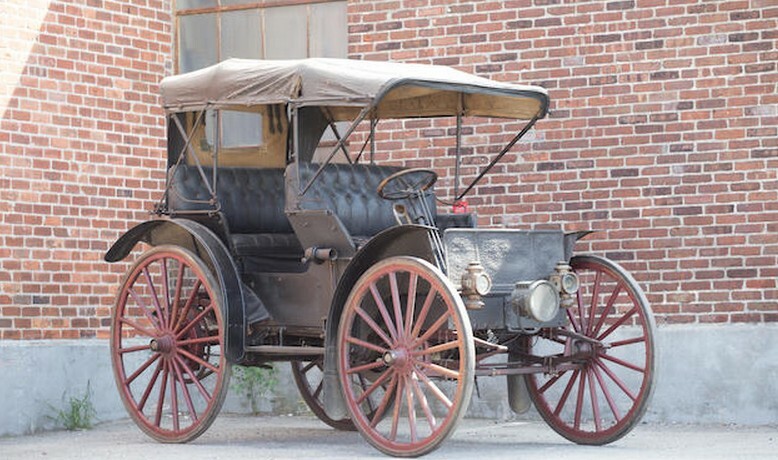 This is a great brass era car that can be driven and used (it had an electric starter and other bits added to it during its most recent restoration to make it livable). It should bring between $125,000-$150,000. Click here for more info and here for more from RM in Hershey. Jackpot. We love when cars like this come up for sale. If you’ve been following along, we’ve featured a couple of batches of rare, old American cars from manufacturers that weren’t around for very long. And this one was not around long at all – just two model years. The first year was a stillborn cyclecar. Series production occurred in 1916 only. This car, with its 3.1-liter straight-four making 23 horsepower, sports a five-passenger touring body style – the largest offered by Mecca. This is thought to be the only surviving Mecca automobile. A rare treat indeed. It should bring between $15,000-$25,000. Click here for more info and here for more from Bonhams. Like Moon, Dort was an automobile manufacturer from the 1920s that featured solid rims on a lot of their cars. It was a company that was co-founded by Billy Durant (and Josiah Dort) as the Flint Road Cart Company in the 1880s. Dort started building cars in 1917 (Durant had already jumped ship). Josiah Dort died in 1923 and 1924 was the final year for Dort automobiles. The 25-K is powered by a 3.2-liter straight-six. It was Dort’s big car and the five-passenger Sport Touring was one of eight body styles offered. This particular car was once owned by William Harrah and JB Nethercutt. It should sell for between $20,000-$30,000. Click here for more info. Benjamin Briscoe was a big name in the early days of the automotive industry. He was the first major shareholder of Buick. He was half of Maxwell for a time as well. He founded his own car company in 1914 after the failure of the United States Motor Company – an early conglomerate of manufacturers, a sort of precursor to General Motors. Briscoe built four-cylinder cars through 1921. This 24 horsepower example sports five-passenger touring body style that is simple yet attractive. Briscoes are pretty rare today and for $18,000-$24,000, this is a good chance to acquire a piece of motoring history. Click here for more info. International Harvester is best known for their agricultural equipment and tractors. Today, as Navistar International, they build trucks. But when they first got in to road-going vehicles, high-wheelers were their strong suit. Their 1907 vehicles were very basic, but this 1908 is a little more advanced. The Model A was the only model offered in 1908 – in runabout form only (be it two or four passenger, like this one). This car uses a flat-twin making 14 horsepower. It’s all original, which is amazing because these cars were popular in the most rural of areas. This one should bring between $40,000-$50,000. Click here for more info. There have been more than a handful of automobile companies that carried the name “Cleveland.” All of them were based in – you guessed it – Cleveland, Ohio. This Cleveland (the longest-running company with that name) built cars that were essentially smaller versions of the Chandler (and Chandler denied any relation). The company popped up in 1919 and lasted through 1926. 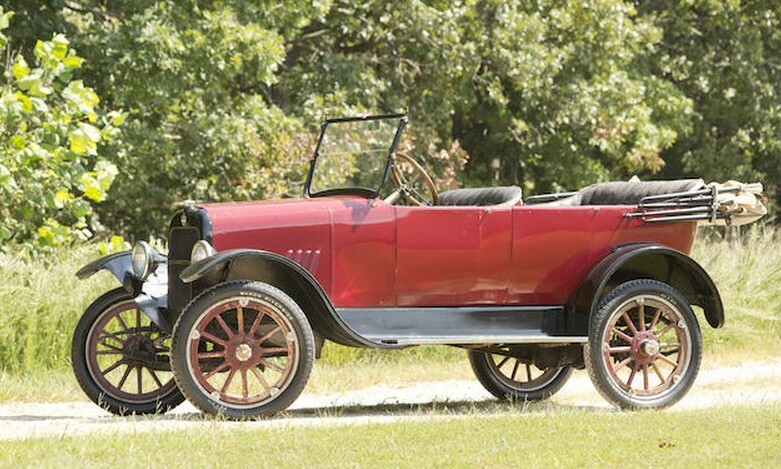 The Model 40 was built in 1919 and 1920 and uses a six-cylinder engine making 45 horsepower. That’s a lot, actually, considering that this example exists in two-passenger Roadster form. It’s a hot rod – tiny and powerful. Only 4,836 examples of the Model 40 were built and this one should provide its new owner with some inexpensive fun for between $15,000-$25,000. Click here for more info.